The Addidi Inspiration Award celebrates inspirational women in history (and their modern day champion) known for wealth creation (entrepreneurs), doing good with their wealth (social engineers), and "full of life" women we remember with a smile! This year they are focussing on women entrepreneurs in history, championed by equally inspiring modern day entrepreneurs. I am off to the award ceremony this week, and thought I'd share the stories of the women who are nominated. 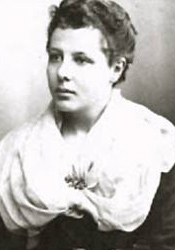 Annie Besant (1847-1933) - In 1867, Annie married Frank Besant, a clergyman, and they had two children. But Annie's increasingly anti-religious views led to a legal separation in 1873. In the 1870s, Besant and Charles Bradlaugh edited the weekly National Reformer, which advocated advanced ideas on topics such as trade unions, national education, womens' right to vote, and birth control. In 1888 she helped organise a strike of the female match workers. Besant first visited India in 1893 and later settled there, becoming involved in the Indian nationalist movement. In 1916 she established the Indian Home Rule League, of which she became president. She was also a leading member of the Indian National Congress. 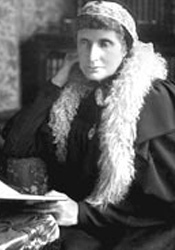 Josephine Butler (1828-1906) - The daughter of John Grey, staunch advocate of social reform and campaigner against the slave trade, Josephine grew up to become a leading British social reformer who played a major role in improving conditions for women in education and public health. She campaigned against child prostitution, lobbying for the age of consent to be raised from 13 to 16, and went on to campaign against the Contagious Diseases Acts. Despite the stigma of a woman addressing sexual matters, Josephine successfully toured the country holding speeches on the subject and 1883 the acts were suspended, to be revoked altogether just three years later. Josephine also took a great interest in women's education, leading to the creation of the all-women college at Newham. Dame Elizabeth Taylor Cadbury (1858-1951) - Elizabeth Taylor Cadbury went on to devote her life to philanthropic work, supporting social welfare and education as well as promoting international relations. Perhaps best known as the wife of Quaker chocolate manufacturer George Cadbury, Elizabeth's public philanthropic work is well documented in her personal archive which contains hundreds of letters, diaries and typescripts of speeches, chronicling her involvement in schemes to reform housing, industrial working conditions and school medical services. 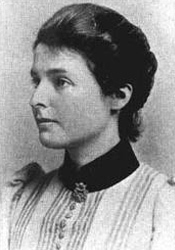 Beatrice Webb (1858-1943) - Born in 1858 to a wealthy businessman who firmly believed in women's rights, Beatrice grew up in a household of lively debate and intellectual curiosity. Committing her life to political research and activism, Beatrice joined the Fabian Society in 1881 alongside her husband, Sidney. By the late 1890s, Beatrice had developed a solid belief in the need to permeate existing social structures in order to achieve lasting change. Beatrice’s works and ideas could be said to have influenced the nationalisation programme, the health service and formed the template for the creation of the Welfare State 30 years later. I'm quite excited about the evening, I was surprised to get an invite to be honest (in a good way! ), anyone is allowed to vote, so let me know if you vote for one of these amazing women!